LAUNCH is a game of speed and the winner is the first player to build a complete D Class Inshore Lifeboat. For 2/4 or more players from 3 years to 90+! 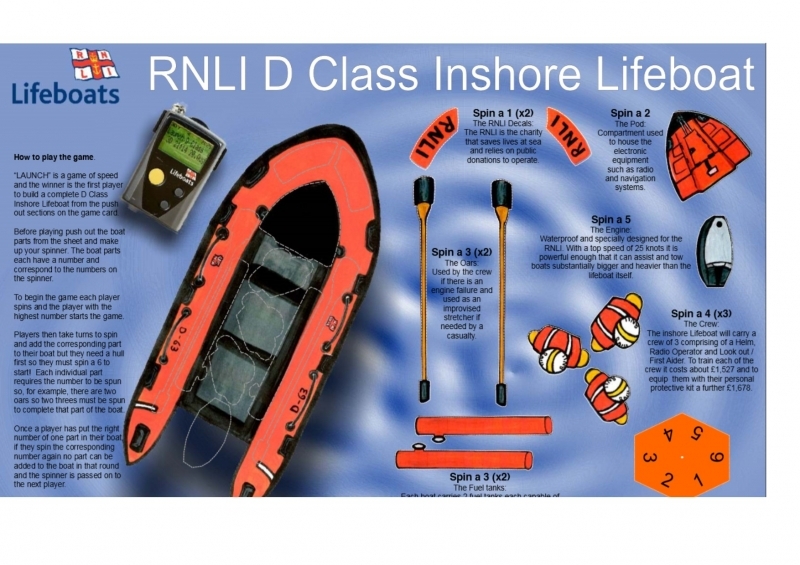 Participants are tasked with building and launching a new D Class Lifeboat in response to an urgent appeal for a new Inshore Lifeboat at Lytham St Annes. Some players will build their boats quite rapidly whilst others will flounder, unable to gain their missing parts. The moment one player has completed their boat they shout “LAUNCH” and they are the winner.